Once you have successfully paid, you will receive a confirmation email. Please show this email to the venue to exchange for your physical tickets before entry. 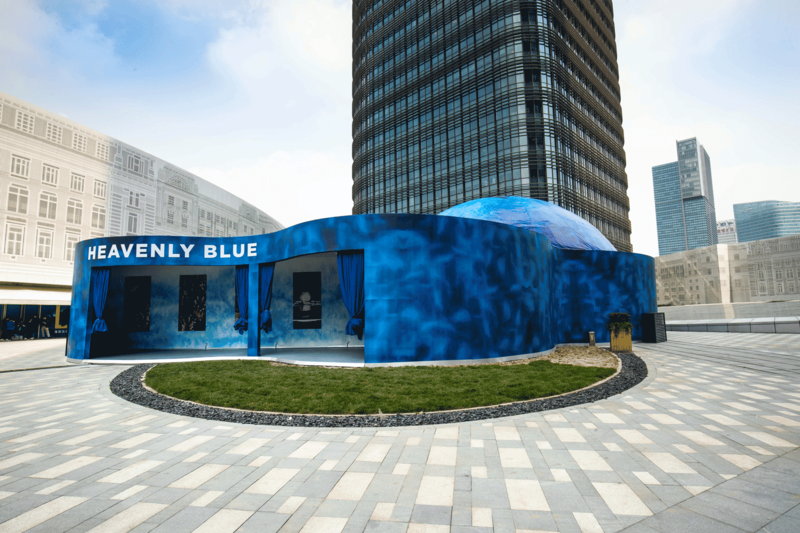 Zhongjia group and national geographic jointly create, The world's first interactive exhibition of immersive ocean experience, 8 theme interactive areas, Open 50 meters of deep blue. 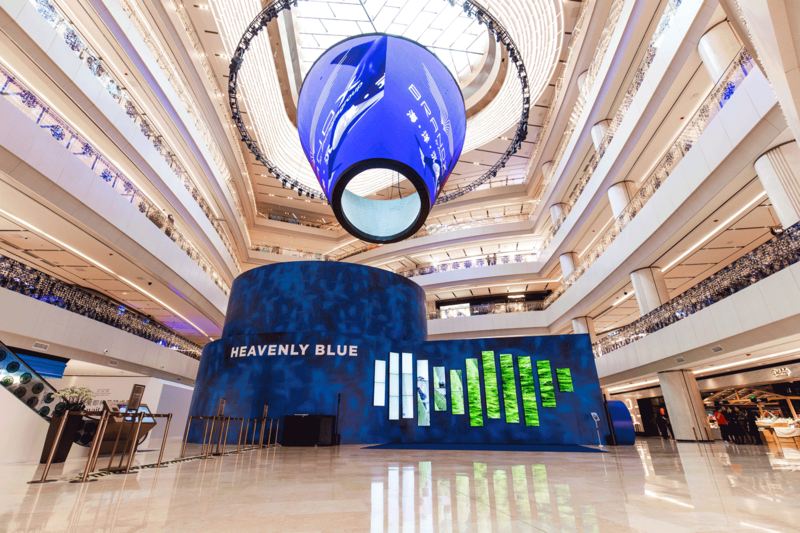 "Heavenly Blue Exhibition - A digital and immersive drop in the sea life's ocean" was created by pan jun, founder of China fine arts group, and national geographic. 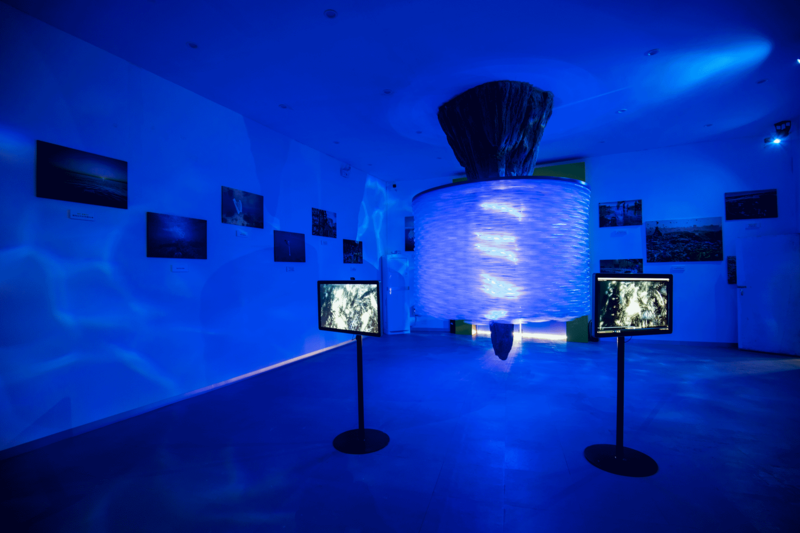 The exhibition integrates science and technology, creativity and visual art into one, with 8 interactive themed areas, and simulates the deep-sea scene in 3d in digital form. 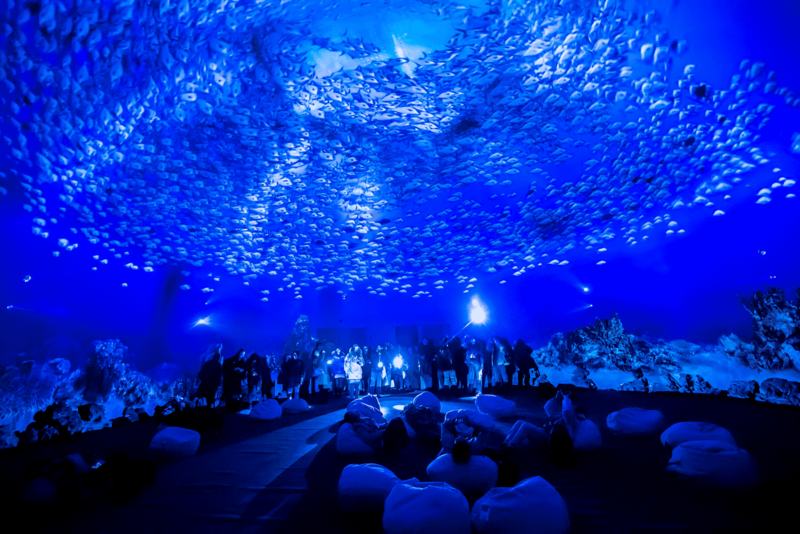 Break through the boundary between art and imagination to explore the mystery of 50m deep blue. The sea, every meter down, contains unknown beauty and danger, its beauty is not everyone can understand. From giant whales tens of meters long to plankton just a few millimeters long, deep dives used to be the only way to see the spectacular. 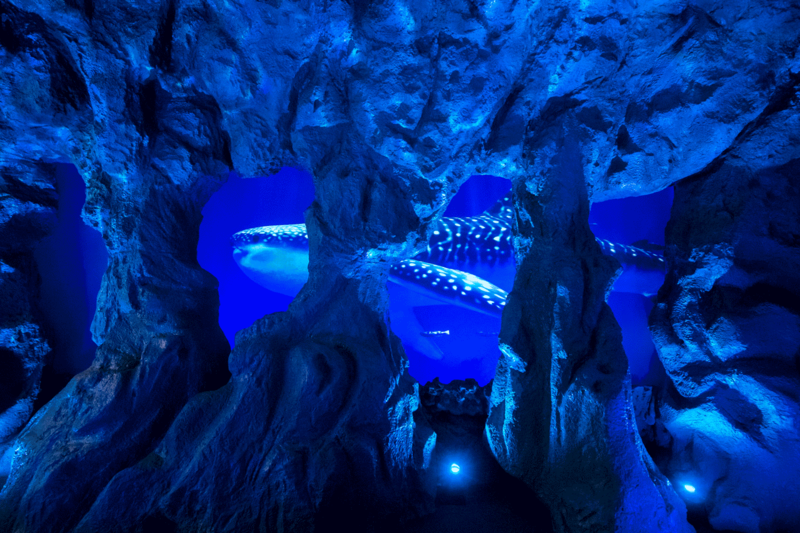 This exhibition will present an immersive deep diving experience space for the audience, which is different from the traditional video shooting and the aquarium viewing experience. The site adopts high-tech and interactive devices, bringing strong visua. Immersive interactive experiences that break age boundaries. 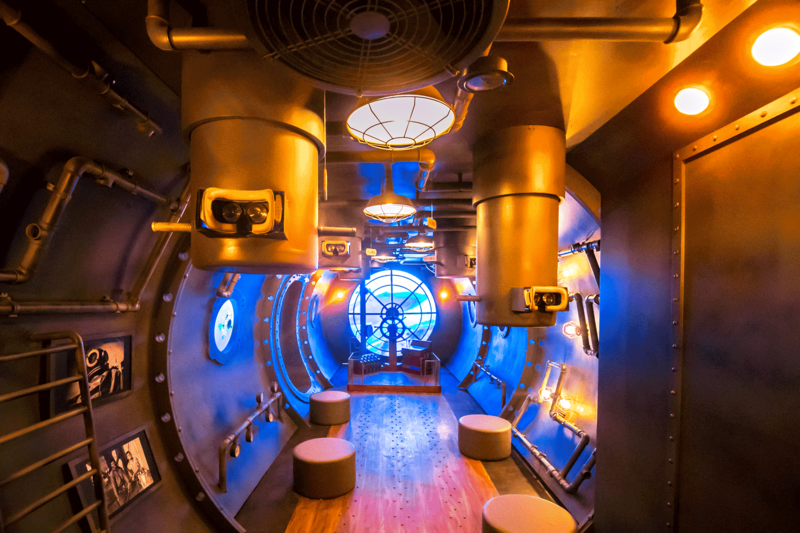 Whether you are a 3 year old innocent child, a young or energetic 80, 90, 00, or a lovely old man who is well acquainted with the world, here, with the cooperation of high-tech VR technology, you will break through the framework of art and experience the charm of the deep sea. 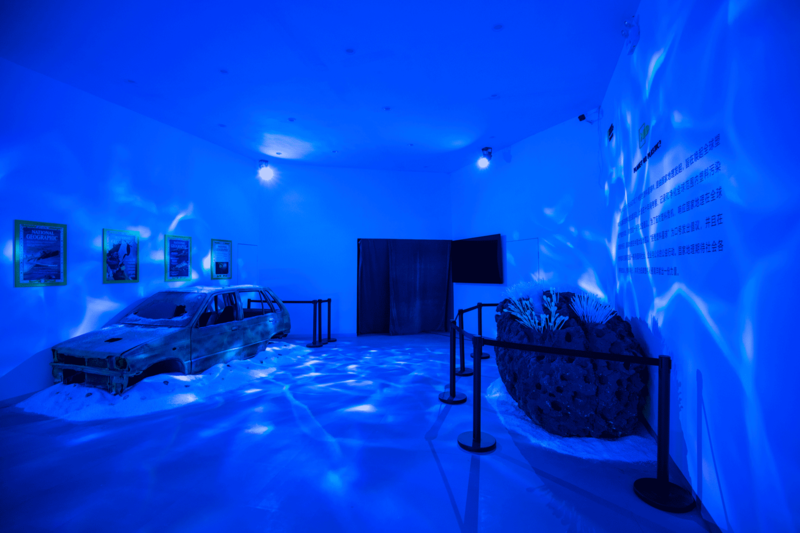 In the exhibition accompanied by music, gorgeous colors, interesting interaction, in the nature, science fiction, dream between the visual take you into the deep sea world. Become the sea holy guardian from you into here! 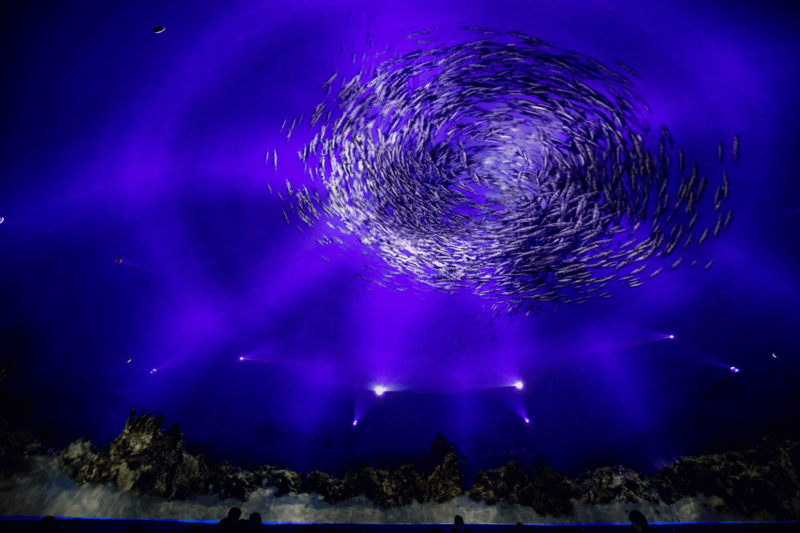 Into the exhibition hall, the holy and magnificent underwater world in front of you. Channel two side, you will cross the big reef of deep sea, hit face to face with mysterious whale shark, simple and honest sea turtle also is walking slowly in your side leisurely. 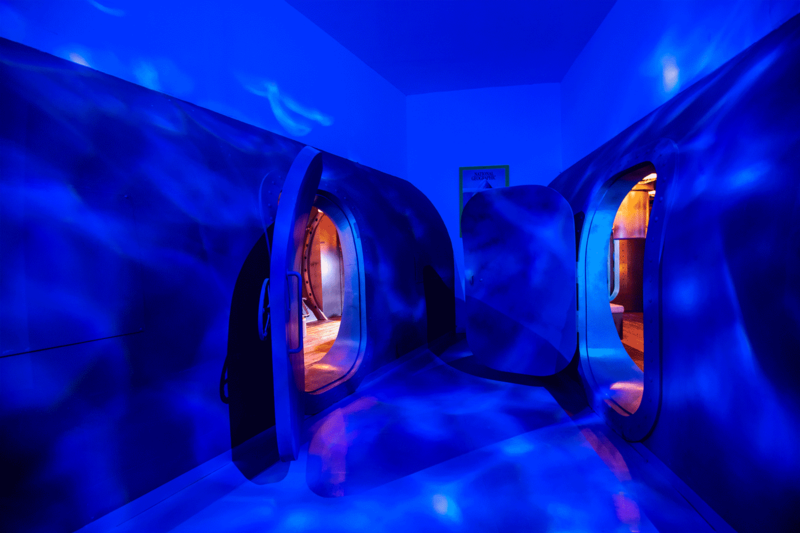 In addition, you can see thousands of mysterious sea creatures moving freely around you. The spectacle of destiny, the king of dancing, the life chorus, the carnival time and other Spaces unfold in turn in front of the audience. 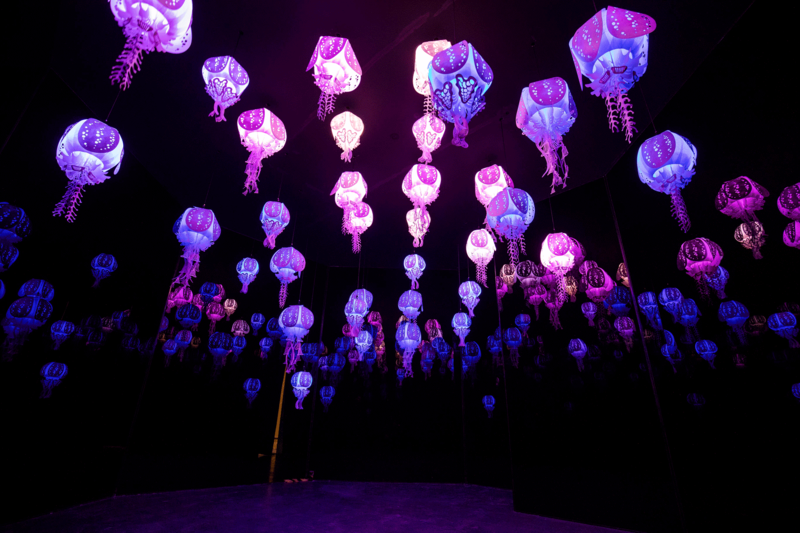 You can also see the jellyfish distributed in every corner of the room, feel their slow and rhythmic slight floating and breathing, and enjoy the dreamlike mystery with the gentle ocean music. Here, you can have intimate conversations with killer whales, and you can touch reefs and giant whale sharks for thousands of years. 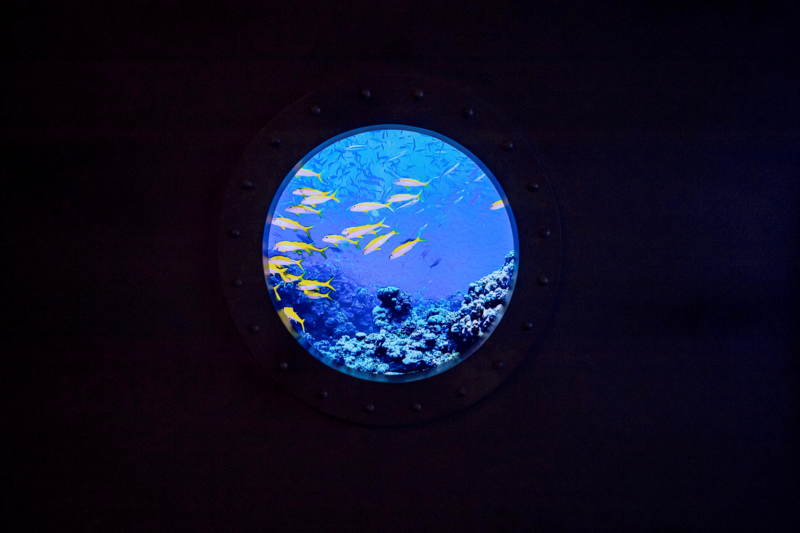 In the dream submarine, you will see the wonderful underwater world through VR glasses, and you will see all kinds of deep-sea creatures passing by you through the window. Zhongjia group: international creative marketing one-stop solution provider. Committed to fashion, art, environmental protection concept to your side, with practical action to create a better life. National geographic: since its establishment in 1888, the national geographic society has been dedicated to environmental protection, exploration and education. After 131 years of precipitation, it has recorded the general geographical situation, the changes of world culture in the past 100 years and the dreams and pursuits of human beings from a global perspective.